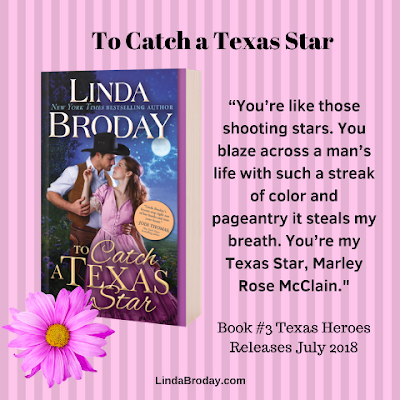 Hall Ways Blog: To Catch a Texas Star ~ ~ Lone Star Book Blog Tours Promo, Series Spotlight, & Giveaway! 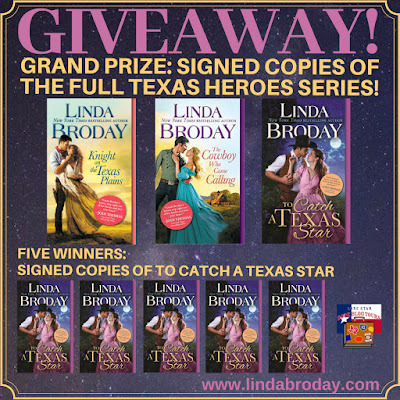 To Catch a Texas Star ~ ~ Lone Star Book Blog Tours Promo, Series Spotlight, & Giveaway! 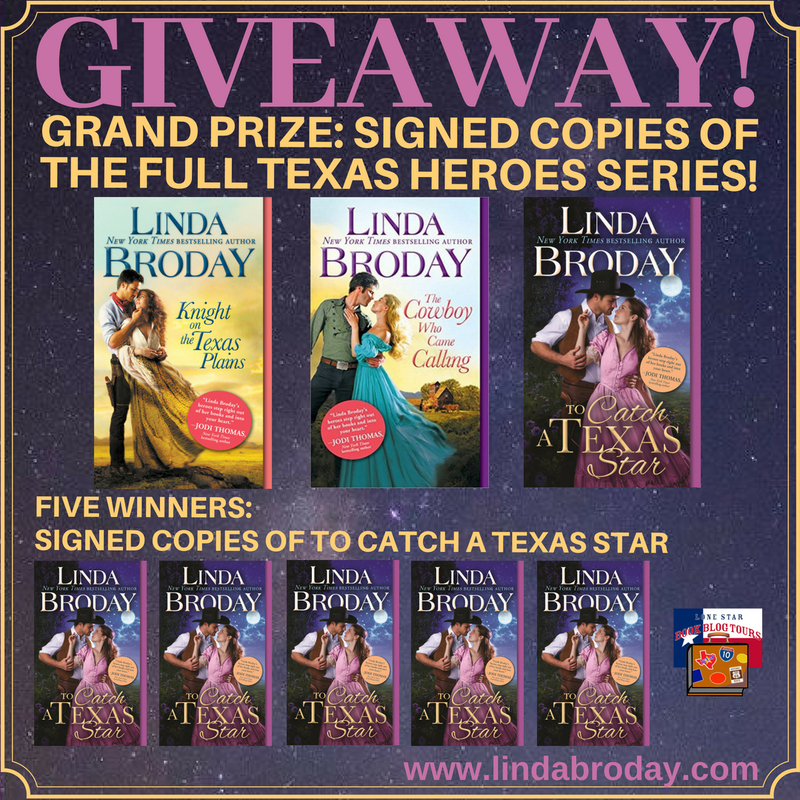 Sometimes a series comes along that takes on a life of its own and that was the case with Texas Heroes. 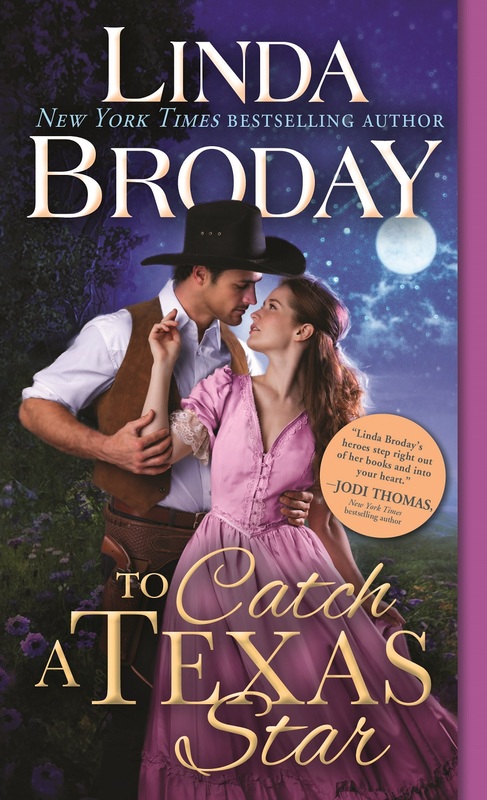 They’re about the McClain family, their struggles and joy as they carve out a life for themselves in 1800s Texas. Each of these stories resonate with readers of all ages. Knight on the Texas Plains – Book #1 – Duel McClain wins a baby in a poker game and she gives him a reason to live. That night camped outside of town, Jessie Foltry, stumbles into his camp covered in blood. He makes a deal with her—her help with the child in exchange for taking her wherever she wants to go. That baby girl gives both Duel and Jessie a reason to live. The Cowboy Who Came Calling – Book #2 – Luke McClain has been framed for a crime he didn’t commit and on the trail of the man responsible when a beautiful woman shoots him. Glory Day takes him home to patch up and he discovers she’s slowly losing her eyesight. She’s the sole support of her mother and sisters so he has to help—even if Glory doesn’t want it. To Catch a Texas Star – Book #3 – Marley Rose McClain, the baby from the first book, is grown up and looking for love. One morning, she finds drifter Roan Penny badly wounded. As she nurses him back to health, she falls in love with him. But secrets threaten to destroy her happiness and danger lies around every corner. Will a stranger take their lives before Marley and Roan reach their dream? 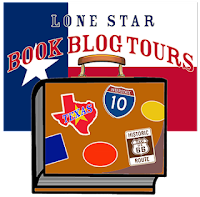 Kristine, thank you for putting together an exciting tour and letting me tell readers about my brand new book To Catch a Texas Star. This is the perfect ending to a series about men who stood tall and fought injustice wherever they found it. I'm so passionate about these McClains. And Marley Rose got hers as well. I couldn't have told these stories better. I hope readers will discover this for themselves. 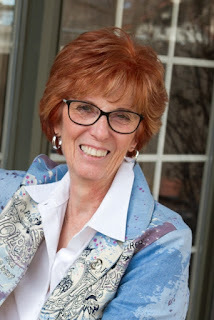 Linda, it is ALWAYS a pleasure to promote your books -- no one is ever disappointed with your stories.